SIMFEROPOL (Sputnik) - All 24 Ukrainian sailors who were detained for illegally crossing the Russian maritime border in the Azov Sea have had charges brought against them by Russian investigators and now face up to six years in prison, lawyer Nikolay Polozov told Sputnik on Monday. "The charges were brought on November 27 under Article 322, part 3 of the Russian Criminal Code [on illegal crossings of the state border]. However, this has only now become known to us. It seems that all this took place in Crimea and was done with the participation of state-appointed lawyers," Polozov, who represents Capt. 2nd Rank Hrytsenko, said, adding that the accused sailors faced up to six years in prison. According to the attorney, he still has no access to the defendant, while other lawyers still do not know whether the case materials have been transferred to Moscow. It is also unclear who from the Federal Security Service (FSB) investigators is heading the investigation team. Polozov noted that all the sailors were currently in Moscow. 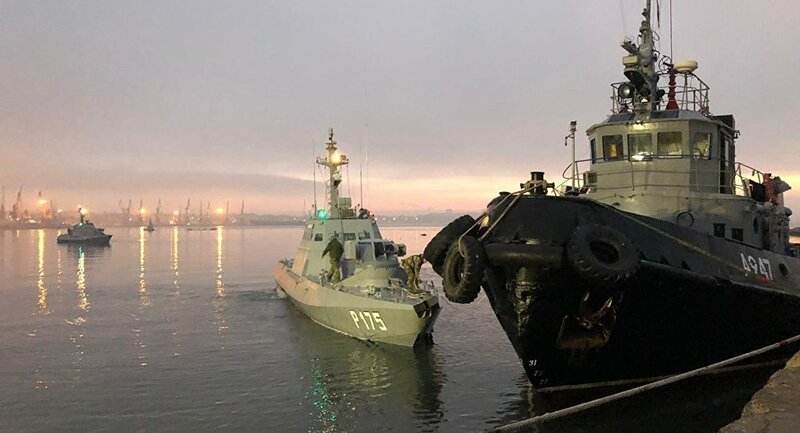 On November 25, Ukraine's Berdyansk and Nikopol gunboats and the Yany Kapu tugboat illegally crossed the Russian maritime border as they sailed toward the Kerch Strait, the entrance to the Sea of Azov. The Ukrainian vessels were arrested by Russia after failing to respond to a demand to stop. Following the incident, Ukrainian President Petro Poroshenko signed a decree declaring martial law in several Ukrainian regions located near the Russian border and the coasts of the Black Sea and the Sea of Azov, which will be in place for 30 days. Russian President Vladimir Putin has said that the incident was a provocation prepared in advance as a pretext to introduce martial law in Ukraine ahead of the country’s presidential election. The martial law would affect the campaign, set to start in late December, amid Poroshenko's low approval rating, Putin said.